Despite appearances to the contrary, Anglican Rose acknowledges the good of the St. Louis Affirmation. The Affirmation was a needed antidote to the 1970’s civil rights mania infecting the church, correcting the tide of feminism by appeal to Tradition. However, when the Affirmation is taken in a ‘confessional’ sense, it narrows churchmanship on strict anglo-catholic lines (1). Against this insertion of “old catholic” doctrine, the main of continuing churches have kept a broad ethos. Yet, the Affirmation is hardly a solution to illicit Anglican comprehension since the Accord generates its own set of disagreements. A shorter version of the Affirmation better represents the broad orthodoxy (historically characteristic) of the continuing movement. Nonetheless, continuing Anglicans typically have three ways to deal with the more sticky points of the Affirmation. First, they might say nothing about the Affirmation in C&C. This approach is typical of UECNA which says no more than “We also accept the Affirmation of St Louis (1977) as a roadmap to safeguarding our Anglican heritage” . Second, they might equally approving the Affirmation with the 39 articles not worrying about theological tensions, and this method is more akin to ACA. Or, third, they could qualify the Affirmation with an ambiguous clause like “the spirit of St. Louis” (APA). In each case, the Affirmation generally has a status that is less than the Prayer Book. A case-by-case basis of how the Affirmation is treated by solemn declaration may be read here, and Bishop Robinson has written an excellent overview on difficulties normally had with the Affirmation. I will try to expand on some of these problems. The Nature of the Church: … True religion is revealed to man by God. We cannot decide what is truth, but rather (in obedience) ought to receive, accept, cherish, defend and teach what God has given us. The Church is created by God, and is beyond the ultimate control of man. Holy Scriptures : The Holy Scriptures of the Old and New Testaments (are) the authentic record of God’s revelation of Himself, His saving activity, and moral demands – a revelation valid for all men and all time. Incompetence of Church Bodies to Alter Truth: We disclaim any right or competence to suppress, alter or amend any of the ancient Ecumenical Creeds and definitions of Faith, to set aside or depart from Holy Scripture, or to alter or deviate from the essential pre-requisites of any Sacrament. Man’s Duty to God: All people are bound by the dictates of the Natural Law and by the revealed Will of God, insofar as they can discern them. Family Life: The God-given sacramental bond in marriage between one man and one woman is God’s loving provision for procreation and family life, and sexual activity is to be practiced only within the bonds of Holy Matrimony. Christian’s Duty to be Moral: We believe, therefore, it is the duty of the Church and her members to bear witness to Christian Morality, to follow it in their lives, and to reject the false standards of the world. 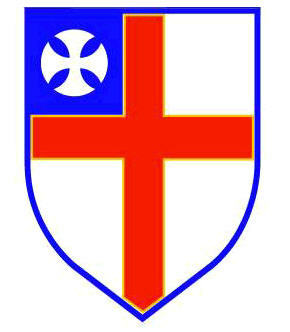 We affirm that the Church of our fathers, sustained by the most Holy Trinity, lives yet, and that we, being moved by the Holy Spirit to walk only in that way, are determined to continue in the Catholic Faith, Apostolic Order, Orthodox Worship and Evangelical Witness of the Traditional Anglican Church. We repudiate all deviation or departure from the Faith, in whole or in part, and bear witness to these essential principles of Evangelical Truth and Apostolic Order. The Holy Scriptures of the Old and New Testaments are the authentic record of God’s revelation of himself, his saving activity, and moral demands; a revelation valid for all men and all time. We further affirm that no Church body may require as necessary for salvation anything that is not contained within Holy Scripture, nor may it require of its members allegiance to any doctrine, discipline, or practice that is contrary to the same. Few churchmen would find the doctrine, morality, and method given in this shorter version disagreeable. Too bad a briefer Affirmation like the one above (or a pre-1977 solemn declaration) did not come from the first St. Louis Congress . Nonetheless, it illustrates those essential parts of the Affirmation that ideally hold evangelical and catholic churchmen together. Furthermore, it invokes the necessary hermeneutic to dismiss novelty. If a modest declaration had been the outcome of the St. Louis Congress, perhaps the last thirty years of the Continuum might have been different. Simply said: the abridged version gives no reason to abstain a signature. It was suggested in the previous post (Donlon’s Bubbles), the extent the Affirmation has been theologically received in the continuum is open to debate, especially for the UECNA and FACA-aligned bodies. Where language has been contested just wasn’t over Seven Sacraments but also with: a) Seven Councils; b) Sister churches. Of course, the mode and manner of grace in seven sacraments is probably most damaging to classical Anglicanism. For anglo-catholics, there was discomfort with the Affirmation’s “all sufficient Sacrifice on the Cross” (Bess, p. 99). Nonetheless, significant disagreement exists with less controversial points, mainly, the numeration of ecumenical councils as well as the identity of sister churches. Nonetheless, most anglo-catholics would rather have option #2– deference to the Eastern view– irrespective of what classical Anglicanism previously set forth (2). This rare conclusion by an anglo-catholic priest, “that we neither bow nor kiss icons”, is ironic when compared to the majority of anglo-catholic opinion respecting the seventh council. But does the well-established Caroline (stemming from the 1604 Jacobean canons) custom of bowing to the Altar ruin Fr. Job’s thesis? While Serebrov is indeed sensitive to Anglican standards, he remains vexed by what he considers unnecessary equivocation by the Affirmation, and that’s the relevant point. Another area of periodic disagreement is over the question of ‘which sister churches ought be identified by the St. Louis movement’? The Affirmation urges, ‘full sacramental communion and visible unity with other Christians who “worship the Trinity in Unity, and Unity in Trinity,” and who hold the Catholic and Apostolic Faith in accordance with the foregoing principles’. Yet the Affirmation doesn’t spell the identity of the ‘other Christians’, and apparently this has stirred some dispute as to the ecumenical priorities for the continuing movement. Are these relations obvious? Surely, ‘catholic’ churches include more than the Roman. But does it include other Anglicans, Swedish Lutherans, or areas of high church Protestantism, say, some Methodists? This is a question that weighs heavily for broad churchmen in the continuum. The APA’s Solemn Declaration commends, “we shall continue in full communion with all traditional Anglican churches throughout the world”. However, ‘Traditional Anglican’ can incorporate quite a bit. Looking at APA’s ecumenical relations, it would appear the spectrum includes members of the ACNA. The APA’s Unity Report of 2011, presented at the 7th triennial synod, describes the REC as a “sister jurisdiction” with the APA desirous of ‘maintaining a degree of communion’ with her. Meanwhile, the REC is a sub-province within ACNA and therefore in partial communion with other bodies that ordain women. Furthermore, as members of FACA, both ACA and APA recognize the federation’s patronage by orthodox Primates from Lambeth, primarily the Southern Cone. The Southern Cone does not ordain women priests, but it came close in 2010 after women’s ordination was defeated by their second House. Presently, the Southern Cone (consisting of Argentina, Bolivia, Chile, and Peru) tolerates women deacons in certain dioceses; nonetheless, the Southern Cone’s retired archbishop, Greg Venerables, is the FACA patron. Nor should the intercommunion pact between TAC and FiF be neglected, especially since ACA is the largest representative of TAC in the USA. A number of FiF dioceses and provinces received and/or ordained women deacons, but this did not impede TAC’s ecumenicism. Therefore, what constitutes a “traditional Anglican” evidently has a degree of flexibility according the interpretation of “foregoing principles”. Often times that depends on how the Affirmation’s preamble is understood— what is a loyal Anglican? The Preamble only mentions those Anglicans resisting the innovation of women priests but says nothing about cooperation with those bodies that have women deacons. Finally, Fr. Mark Calvier’s 2006 Report, submitted for unity talks, arks back to the historic broadness of the APA. Clavier notes the of earlier American Episcopal involvement with traditionalists inside ECUSA. That involvement largely mediated by ECUSA’s Presiding Bishop Allin (1974-85) blossomed into several initiatives for parallel provinces and later the Common Cause Partnership, or ACNA; but, again, this demonstrates for many continuing churches a ‘sister church’ sometimes has been an ECUSA related body despite ACC opinion. The Affirmation is probably best understood according to the original broadness it was conceived. While serious problems exist with specific language regarding the nature of seven sacraments, most of the document is reasonable and a needed correction to superficial or lazy biblicism. At worst, it recognizes seven sacraments supplanting Anglican commentary on the subject for modern Orthodoxy or Romanism. It also (rightfully) excludes involvement with ‘unfaithful’ Anglicans who ordain women priests, though leaving the question of the diaconate ambiguous, but this enables a route for indirect but wider engagement with Lambeth per Section V. Jurisdictions which, so far, maintain these positions are those in FACA and, tacitly, the UECNA. Unfortunately, the ACC’s growing clout among continuers would attenuate the unpredictable broadness of ACA and APA, leaving their prior ecumenical arrangements with traditional episcopalians a dead letter. I hope to examine this depressing trend in an upcoming article, “Post-Brockton”, and this will conclude my final wails for unity between continuers and larger Anglicanism. From what I can tell, it only beats a dead horse. (2) At a Keynote Address in 2006 for the FCC, Haverland describes how his version of ‘central tradition’ works: ““Anglicanism can only continue in a form that is clearly both Catholic and Orthodox and which submits Anglican formularies and all that is peculiarly Anglican to the higher authority of the consensus of the central Catholic Tradition…How many sacraments are there? Anglican formularies suggest that there are ‘two only’. Many Anglican theologians say, ‘There are two only that are generally necessary for salvation, but there are five others.’ But Rome and the Orthodox and the Affirmation of St. Louis all say clearly and unambiguously, ‘seven’. So seven is the answer. So too with the number of ecumenical councils. So too with the real, objective presence of our Lord in the Eucharistic elements quite apart form the subjectivity of the recipients of the sacrament. So too with the invocation of the prayers of our Lady and of all saints. ” (p. 5). Haverland’s ‘central Traditon’ should be contrasted to Peter Robinson’s ‘center tradition’. This entry was posted in St. Louis Affirmation. Bookmark the permalink. Makes one wonder how we all get along so well of late. I’m pleading that folks consider the common good of pan-Anglicanism rather than their individual denominations. The fact that continuing churches (both pre- and post-1977 jurisdictions) are willing to accept a “federation” on terms acceptable to the ACC essentially marks the demise of the historic broad church basis in the continuum that prevailed from 1968 until 2006. As a consequence, the ecclesiastical elitism defined by the Athen’s Statement which views Orders in Lambeth basically ‘null and void’ will likely rule, leaving the continuing movement increasingly isolated and alienated from larger North American Anglicanism, namely, the FiFNA-REC coalition inside ACNA. Thus, the UECNA and the FACA churches are being locked into the ACC’s own pattern of self-ostracization as they combine into ACC intercommunion arrangements. This is a tragic conclusion to an otherwise noble attempt to preserve 1950’s episcopalianism– a ‘center churchmanship’ that might inform and shape larger Anglicanism at a time of tremendous soul-searching. With the exception of a few parishes and clergy that have already left for ACNA, I don’t expect the continuum to have further impact. In so far as allegedly broad churchmen keep feeding this erroneous idea that the continuing movement began in 1977, the St. Louis Affirmation is symbolic of such, and the Chamber’s succession is definitive of continuing Anglicanism, the ACC has finally buried Deerfield Beach and will ultimately bury those that follow her into a grave of obscurity. I don’t see the point of being pleased by this last whimper as smaller churches rally around the ACC’s reaction to ACNA and the Ordinariate. My final hope is the ACA-APA alliance will grow dissatisfied with ACC stonewalling on a ‘SCOBA-modeled’ federation, leaving the ACA_APA to become the new pole of unity based upon FACA rather ACC principles. I’m approaching my final post on this subject which will expound these points, called “post-Brockton”. Following that last article, Anglican Rose will take a hiatus until early 2015. I realize history can turn in unexpected ways, and a better sense of the overall well-being and direction of North American Anglicanism will be had by then. However, in all my investigations, the only healthy area and bright spot is the FiFNA-REC coalition which the continuum could support if FACA was given new life. But, FACA ties are a deal breaker for ACC which expects ecclesiastical isolation coupled with an apocalyptic end for ACNA. I believe the die has been cast. I’m beating a dead horse. There are more permanent and rewarding things to do: Queen Ann’s, nonetheless, this jeremiad needs to be given.